Alpha Moving & Storage uses modern, state of the art technology, for every move. Everyone has heard the nightmare stories about movers taking off with people’s furniture. Let Alpha Moving & Storage prove to you that we’re different. Just check out our BBB rating and our testimonials over 20+ years of service. Serving Millburn, New Jersey, Alpha Moving & Storage has a fleet of trucks equipped with GPS units, to ensure proper drop off locations, no hidden fees, and a professional staff. We are completely transparent every step of the way, and have services customizable to your needs. We offer full and partial packing, local and long distance moving, residential and commercial moving, storage, and more. Alpha Moving & Storage is fully licensed and insured to provide local and long-distance services in New Jersey and New York. Our trusted professional movers are prepared to help your move go smoothly, and incident free! Our local movers are familiar with Millburn and are experts at navigating the streets, even near the Mall at Short Hills. We understand that sometimes the unexpected can happen, and we are prepared. With 20+ years in the industry, and polite professional movers working directly with our customers, Alpha Moving & Storage is here for you. We are fully bonded, licensed, and insured and we only hire the most responsible people that will respect your requests and your items. Alpha Moving & Storage is one of the most reputable moving companies in Millburn, with an A+ rating on BBB. We are fully licensed, bonded, and insured to provide moving services locally in New York or New Jersey and across the country and globe. We are available 24 hours a day, 7 days a week, to help you prepare for your move. We can even perform a move with little notice. If you are in a pinch, contact us about last minute relocation services! Every member of the Alpha Moving & Storage team goes through extensive training so we can ensure each move is performed with care. Our team members are prepared to answer any questions that pop up during your move, so you have one less thing to worry about. Alpha has provided local moving services for countless satisfied customers. Check out our testimonials to see just how seriously we take each move. 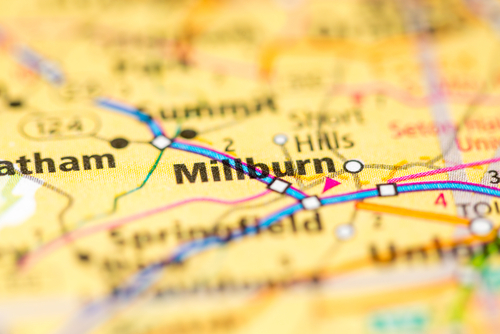 Ready to plan your move to or from Millburn? Fill out our free quote form above or contact us for more information.